Una guía sobre la comida pura e impura, según Levítico 11. 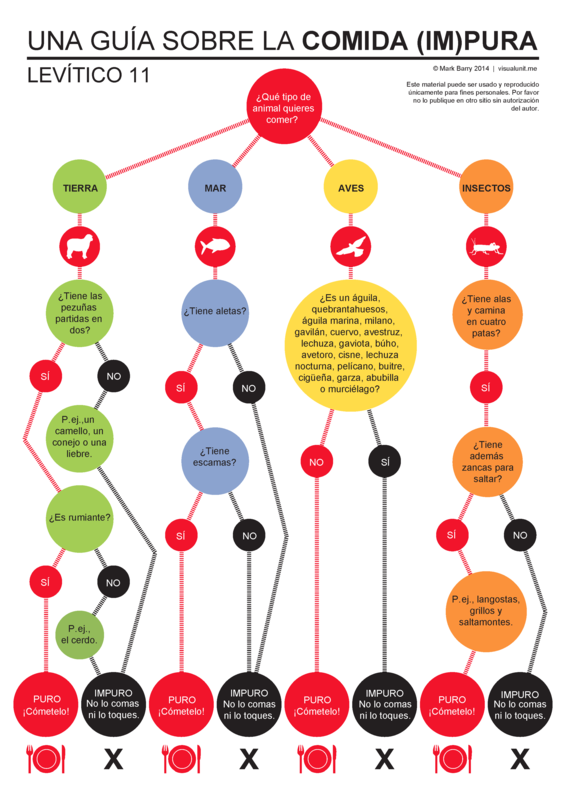 Spanish version of the clean and unclean eating guide, according to Leviticus 11. PDF version (541 KB). This entry was posted in Spanish and tagged Leviticus, Old Testament. Bookmark the permalink.